San Francisco, CA -- Casey Driessen announces the second video from Fiddle/Sticks featuring Roy “Futureman” Wooten, the follow-up to the premiere session with country music drummer Kenny Malone. Fiddle/Sticks is a collaborative exploration of rhythm which pairs GRAMMY nominated fiddler Casey Driessen – the leading voice in percussive fiddle/violin technique (AKA The Chop) – with a list of the landmark drummers and percussionists of our time. Cutting across all genres and traditions, the project documents these rhythmic explorations through recordings, videos, photos and journals. Bristol, TN/VA -- The Blue Stocking Club, Bristol’s longest running service organization, will bring the world’s most celebrated banjoist to the Paramount Center for the Arts in Historic Downtown Bristol in order to fund educational programming at the Birthplace of Country Music® Museum. The museum is slated to open on the corner of Moore and Cumberland Streets in Historic Downtown Bristol, VA/TN August 2014. Hailed as one of the most innovative and respected musicians in his field for over 40 years, banjo master Tony Trischka has been awarded a $50,000 USA Fellowship grant from United States Artists. Every year, United States Artists invites leaders in nearly every artistic discipline to submit names of artists they believe show extraordinary talent and commitment to their craft. Many of the world’s most influential five-string banjo players – all with ties to New York State - will re-unite to perform a “Banjo Summit” in a limited five-concert tour of the East Coast from January 16-20. 2013. The New York Banjo Summit featuring Bela Fleck, Tony Trischka, Bill Keith, Eric Weissberg, Richie Stearns and Noam Pikelny will bour the northeast this January. Telluride, CO -- High in the San Juans of Colorado's Rocky Mountains an historic mining town comes to life during the Summer Solstice. For the past 38 years, the Summer Solstice has played the role of a significant ceremony. Wide-ranging interpretations of the solstice have varied among cultures for centuries. From celebrations of harvest to spiritual observances, from festivals to feasts, it's the longest day of the year in the Northern Hemisphere and marks the beginning of summer. 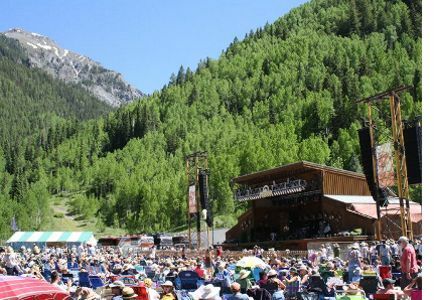 For the small mountain town of Telluride, Colorado, the solstice symbolizes one thing: Bluegrass Music. 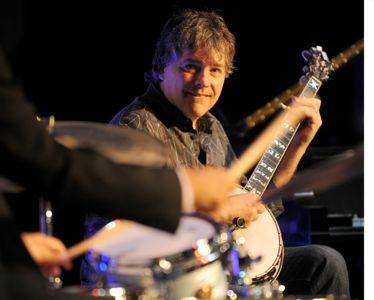 Burlington, MA -- When long time Marcus Roberts fan and banjo virtuoso, Béla Fleck stayed late at a Savannah Music Festival jam session just to hear Roberts play, the last thing he expected was to be up on stage performing with him and his band but "it seemed to work instantly. Marcus seemed to really like it. And the 20 or so people at the jam session seemed to think that something very special had just occurred." Nasvhville, TN -- Through their many comments on Facebook and other social media sites, DelFest bluegrass music fans have made it clear that they are excited about the already announced DelFest lineup. But that was just a sneak preview of what has shaped up to be one epic show. Additions to the lineup include the versatile Bela Fleck (playing with members of the Travelin' McCourys and Danny Paisley, as well as a set with the Marcus Roberts Trio), festival favorites Railroad Earth, Leftover Salmon, and Greensky Bluegrass. Planet Bluegrass announced the historic 40th anniversary initial lineup for RockyGrass. The bluegrass music festival welcomes many of the artists who have shaped the festival for 4 decades – from bluegrass legends and pioneers to special collaborations to some of the younger artists who continue to push bluegrass in exciting new directions. It's been 40 years since Bill Monroe met with members of the Colorado Bluegrass Music Society to found the RockyGrass Festival (originally called the Rocky Mountain Bluegrass Festival). 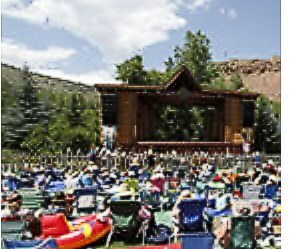 With the announcement of the preliminary lineup for the 40th RockyGrass, festivarians can already start to hear the mandolins and banjos echoing off the cliffs of the St. Vrain River in Lyons, Colorado. On Thursday, September 22nd at 7pm CST (8pm EST), NashvilleSymphony.org will be streaming the world premiere of Bela Fleck's Concerto for Banjo and Orchestra -- the first major work of its kind composed for the instrument. The concerto will be performed TODAY September 22 – 24th at Schermerhorn Symphony Center. Nashville, TN -- Béla Fleck will present the world premiere of his Concerto for Banjo and Orchestra — one of the first ever written for the instrument — with the Nashville Symphony on September 22-24 at Schermerhorn Symphony Center. To be performed by Fleck on his vintage 1937 mahogany Gibson Mastertone banjo, the Concerto marks a significant new departure for Fleck, who calls the piece "a liberating experience for my efforts as a composer and hopefully for the banjo as well." Commissioned by the Nashville Symphony, Concerto for Banjo and Orchestra will be the centerpiece of the orchestra’s opening concerts in the 2011/12 SunTrust Classical Series.